I have listed a new property at 31 45740 THOMAS RD in Sardis. Priced to sell! 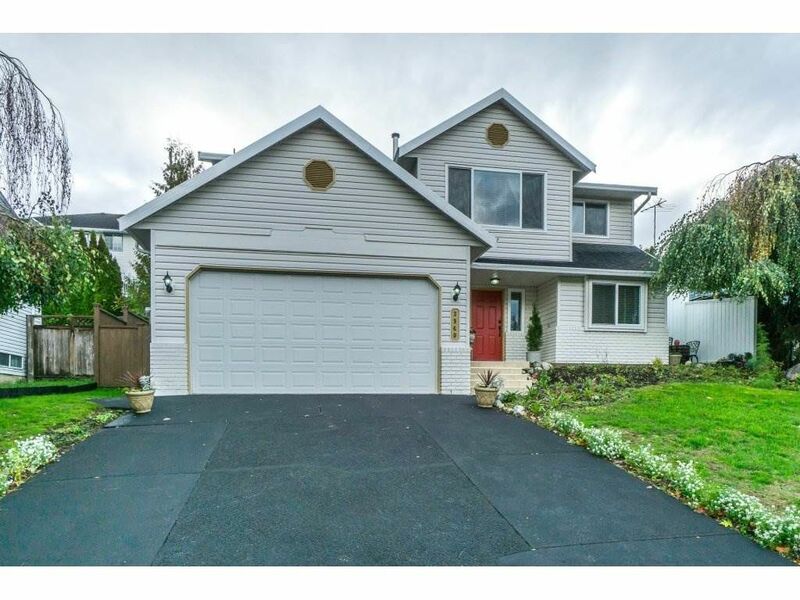 Family sized home with 3 bedrooms, 3 bathrooms, large family recreation room and garage. Newer appliances, recent roof replacement, exterior paint, fencing. Great Sardis location close to all shopping, schools, and amenities. Move in condition. 24 hours notice would be appreciated. I have listed a new property at 18 34250 HAZELWOOD AVE in Abbotsford. Lovely basement entry townhouse located in sought after complex "Still Creek", nestled in a peaceful cul-de-sac backing onto tranquil green living space. This home features just over 2100 square feet of living space with 4 bedrooms, 2 full bathrooms + plumbed fro 3rd, double attached garage + 2 parking spaces in front. Family size sundeck w/n/gas hook up for BBQ year round. hurry on this one! I have sold a property at 3960 OLD CLAYBURN RD in Abbotsford. Great location! Great home - totally renovated in last 2 years. Huge designer kitchen with top of the line Samsung stainless steel appliances incl. gas stove. This kitchen is a chef's dream and ideal for entertaining family and friends. All flooring, up and down - new & quality. All 3 bathrooms have been renovated, laundry room, foyer, everything. Plumbing re-piped, new vinyl windows + vinyl French doors to sundeck. The lower level has so many options - 4th bedroom? Office? Gym? Nanny suite? Don't bring your toolbox. There is nothing left to do! 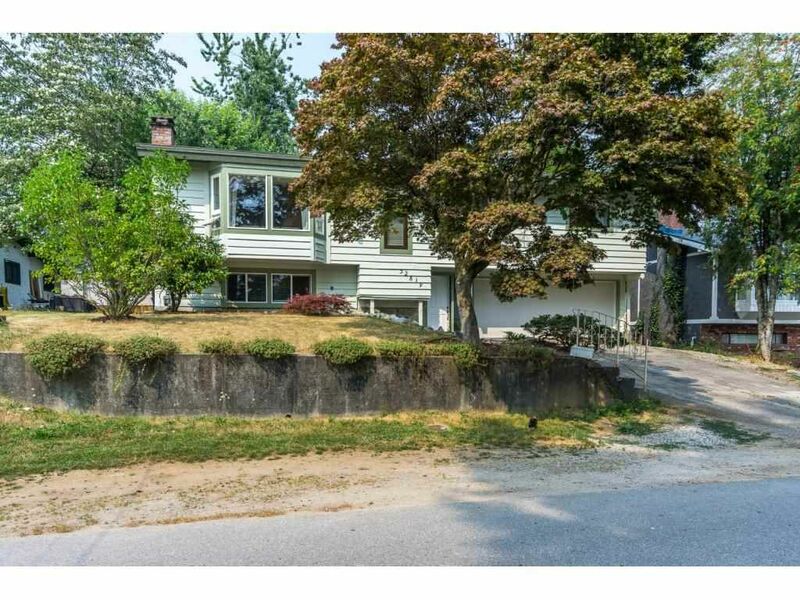 I have listed a new property at 10288 KENT RD in Chilliwack. You will swear that this house has never been lived in! Great sized rooms up and down. Very "bright" with huge windows for natural lighting. Very open plan for cooking, dining, plus living room. Quality finishing throughout. This home has everything you'd want for your family. 3 (c/b 4 bedrooms), 3 bathrooms, big beautiful recreation/family room, and deep back yard fully fenced for your furry friends. Bar stays, 300# dart board stays, and even oversized above ground heated pool. 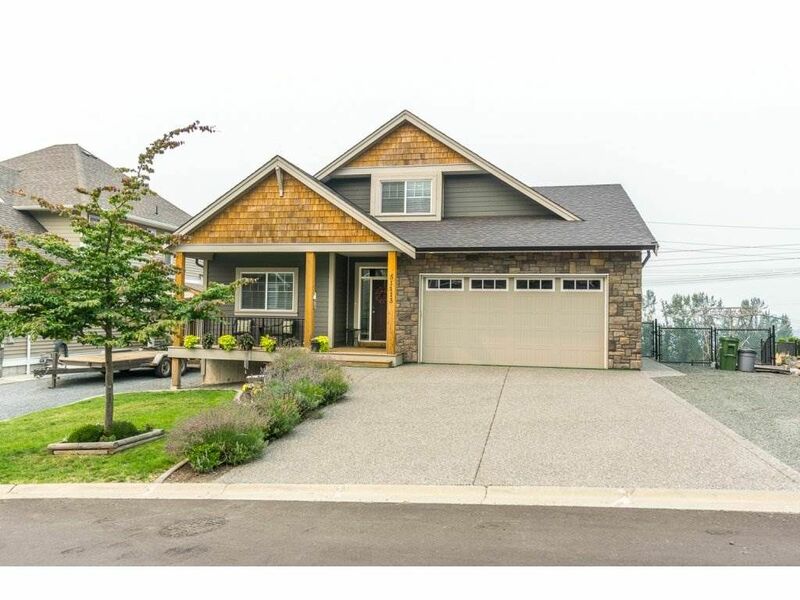 I have listed a new property at 3960 OLD CLAYBURN RD in Abbotsford. Great location! Great home - totally renovated in last 2 years. Huge designer kitchen with top of the line Samsung stainless steel appliances incl. gas stove. This kitchen is a chef's dream and ideal for entertaining family and friends. All flooring, up and down - new & quality. All 3 bathrooms have been renovated, laundry room, foyer, everything. Plumbing re-piped, new vinyl windows + vinyl French doors to sundeck. The lower level has so many options - 4th bedroom? Office? Gym? Nanny suite? Don't bring your toolbox. There is nothing left to do! Open house Oct 5th 5-7pm + Oct 6th 1-3pm. I have sold a property at 45469 MEADOWBROOK DR in Chilliwack. Vinyl siding, gutters, vinyl windows, appliances = 3 years old. Roof is 7 years old. Home has lots of space with 2 extra large rooms on the main - could be recreation room, tv media room, office, games room, 4th bedroom. Back room would be ideal for a boarder with own bathroom and glass sliding doors to back yard. High vaulted ceilings + newer gas fireplace in living room, fully fenced yard, and gated patio for doggy or small children. 10' x 10' shed/rebar foundation in back. Great size garden area as well. It kinda just has everything! I have listed a new property at 45469 MEADOWBROOK DR in Chilliwack. 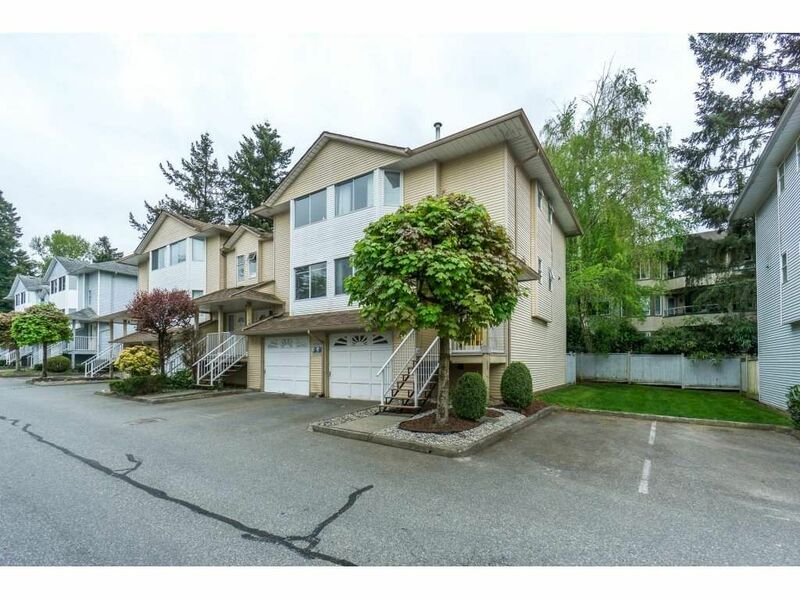 Make an appointment to view this "lovely" basement entry townhouse located in one of the most sought after complexes in the Abbotsford area. This home features just over 2100 square feet of living space with 4 bedrooms, 2 full bathrooms + plumbed for 3rd, double attached garage + 2 parking spaces in front. Family sized and superbly maintained. And you will surely love the spacious sundeck that overlooks the beautiful treed and private setting. Bonus > no height or size restriction for dogs. Can you believe that at today’s date technology can control almost anything? From lights, to blinds to garage door openers and many more. We can control almost anything in our home with a touch of a finger and the help of our trusty Wi-Fi. What if you could have a home that all its devices could connect to the internet, send you information and take your commands? Not just your average computers, laptops and cellphones. I’m talking literally everything: clocks, door bells, appliances you name it! Smart Home Automation does exactly that! It gives you the ability to remotely control every little aspect of your home from your fingertips or voice command. Here are the top smart home products for you home in 2018. This device is your hands free help from the Google Assistant. 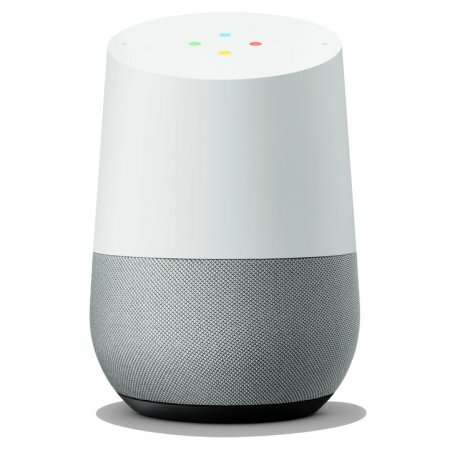 Google Home, allows you to control your smart home with just your voice. It will learn to recognize your voice and will help you get personalized help with your schedule, reminders, phone calls and much more. It is also equipped with hands free entertainment. It works with Chromecast so you are able to stream movies and music on your TV or speakers. It’s smart enough to answer your questions, diagnose your symptoms when you’re feeling ill, lower the thermostat when you leave or even locate that funny clip from SNL you like and throw it up onto your Chromecast using Google Home’s newest feature Visual responses. Google Home is the center of your smart home. The world’s first and only 100% wire free, weatherproof, rechargeable HD smart security camera with audio and 130 degree viewing angle! The Arlo Pro allows you to view live at any time and receive instant email or text alerts when audio or motion is detected. If motion or sound is triggered, the Arlo will save the feed in your cloud library to be viewed for 7 days. You have the ability to connect up to 15 cameras per account, making sure your entire home is covered. Arlo Pro has a built in speaker, this allows you to listen in and talk back through the speaker and mic straight from your phone. You can stop crime in its tracks! The Arlo has a 100+ decibel siren that can be controlled remotely. 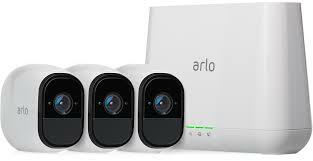 The Arlo Pro gives you the versatility to be 100% wire free or use it plugged in. The choice is up to you. This LED light bulb can be controlled in multiple ways and is able to be connected to other smart home products so your options are limitless. This new bulb is designed around you and your home. With 16 million different colors to choose from, you can change the color, brightness and warmth with a simple voice command or touch from your finger. You are able to control the bulb by using the Phillips app, remote light switches, motion sensor, Apple Watch or even your voice. It’s the easiest way to control brightness, set timers, create routine, change colors and so much more. By saying a simple command you are able to turn on and off the lights hassle free along with many other functions listed above. You can even save your favorite settings to reference back to on a different day. With geofencing technology, your lights can turn on when you arrive home or switch off automatically when you leave. It’s about simplifying your life, giving you peace of mind in smart ways. 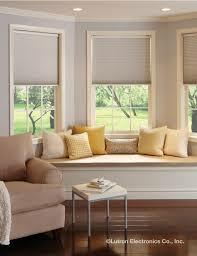 Lutron’s remote controlled shades are available in two styles, honeycomb or roller. They offer a wide variety of fabric and colors to choose from. These blinds are ultra-quiet without any wires. At the simple touch of a button the shades will operate in perfect unison, and can be controlled virtually anywhere in the world using the app. They now work with Apple Home Kit. This essentially means you can ask Siri to open and close your blinds. How cool is that?! This thermostat is completely up to date. The Ecobee4 has built in Amazon Alexa into it, which means it can perform all the skills that come with “Alexa.” You can ask it to read the news, order your groceries, find out the weather and much more. The thermostat is Wi-Fi enabled and can be controlled remotely by using phones, tablets or computers. You can create custom schedules for your family. It also learns from you and your home by learning your behaviour and eliminating any unnecessary use, which in the end saves you money as they are Energy Star Certified. 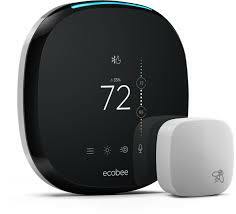 The Ecobee4 comes with room sensors to manage hot and cold spots in your home as well as room occupancy. That’s how it ensures comfort in the rooms that matter. 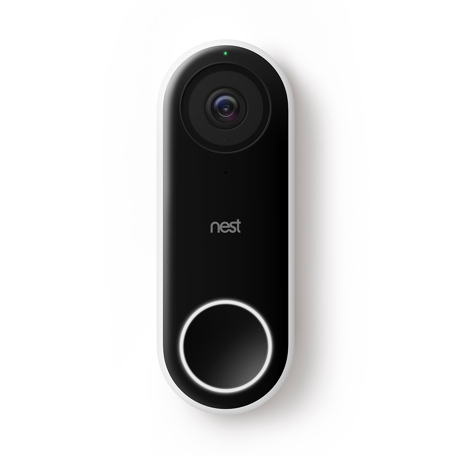 If you’re thinking of getting a video doorbell, Nest Hello should be at the top of your list. It allows you to replace your existing wired doorbell and will deliver HD video and bright crisp images, even at night. When using Nest Hello during the night, it is sensitive enough to switch to daytime color mode when porch lights or sensor lights come on. It is designed to show you everything at your doorstep, including people head to toe and packages on the ground. Nest Hello is equipped with 24/7 streaming that you can check any time with your phone. It also allows you to look back at a three hour history. When someone rings your doorbell, the app will open to full screen video which will allow you to see and be able to talk to the person at your door. It’s equipped with 3 pre-programmed messages you can play. You are sent notifications to your phone and email when it detects a person, motion or loud noise. This door lock is the most advanced Wi-Fi smart lock system on the market. You can lock and unlock your door, control keyless access, and keep track of who comes and goes all from your phone. The installation is discreet and does not change the exterior hardware and you are still able to use your existing keys are any time. August allows you to send keyless access to family and friends without worrying about lost or copied keys. Your door will lock automatically when you leave and you are able to check the status when you are away from your home. 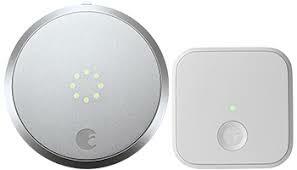 When you arrive home, Smart Lock will automatically unlock your door via Bluetooth. Using your voice you can tell Siri, Alexa or Google Assistant to remotely lock your door. The Wemo allows you to control your electronic devices right from your phone or laptop. It uses the existing Wi-Fi in your home to provide wireless control of lamps, heaters, fans and more. It’s simple! 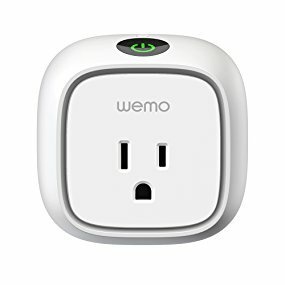 Plug the Wemo into an electrical outlet, plug in a device into the smart plug and voila! You can now control your device using the free Wemo app. You’ll be able to control your lights and appliances from anywhere in the world. With a sleek slim design it will fit into any outlet without obstructing other sockets. The Wemo app will let you set automatic schedules for any devices that are plugged in. Wemo is equipped with an “Away Mode” when set to this mode, the plug will turn plugged in lights on and off randomly to make it appear like you’re home. Finally, Wemo works seamlessly with Amazon Alexa and Google Assistant, this gives you hands free voice control over your devices. Nest Protect has been redesigned from the inside out. It has a Split‑Spectrum Sensor, tests itself automatically and lasts up to a decade. It’s also the first home alarm you can hush from your phone without any extra hardware required. Nest Protect will tell you what’s wrong, and locate the problem and will even alert your phone. Nest Protect has a friendly human sounding voice that will give you an early warning before sounding the alarm. That way you can handle the burning toast before it becomes a disaster. One of the many features it has is the Hush alarms. You are able to hush the detector with your phone, not your dish towel. 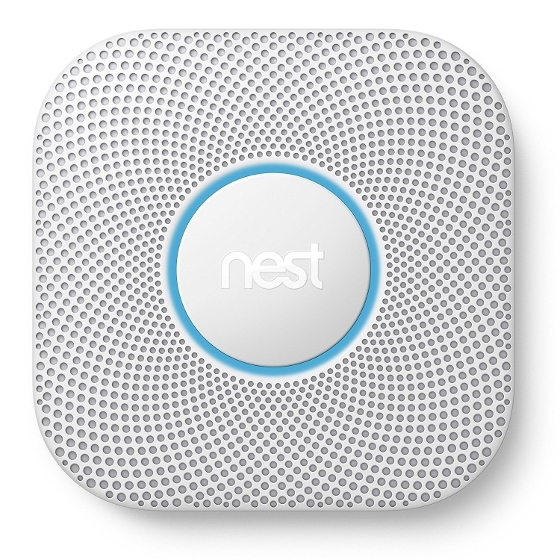 If everything’s under control and there’s only a little smoke, quiet down the alarm from the Nest app. Nest test itself over 400 times a day and it’s the first alarm that uses Sound Check to quietly test its speakers and horn once a month. Nest Protect will even light your way in the dark. It will light up when you walk underneath it in the middle of the night. It is the only alarm with Steam Check. It uses custom algorithms and a humidity sensor to look for steam. You can now enjoy that hot steamy shower without worrying that your alarm will go off. 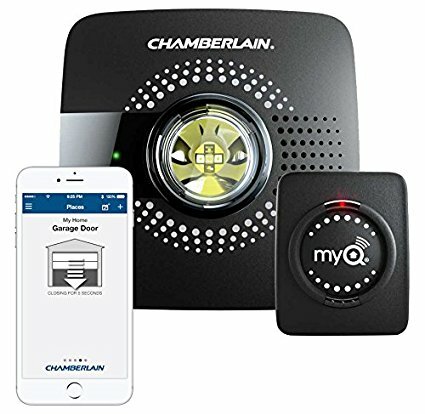 Chamberlain’s MyQ Smart Garage Hub, allows you to control your classic garage door opener with your smartphone or tablet. It gives you the ability to check the status of your garage door from virtually anywhere and will send you an alert if your door was left open. You will gain the peace of mind knowing that your home is safe. The MyQ app allows you to control your garage door, get status notifications and set schedules. This is the master of all vacuums. With its unique D shape design, you are able to get ten times closer in corners and along walls with a brush that is 70% bigger than the average competition. It is equipped with an ultra-performance filter and an advanced spiral combo brush that will allow it to capture twice as many small particles and pick up more pet hair. One of the most interesting features is the LaserSmart mapping and navigation. The technology does a 360 degree scan and maps the room planning the most efficient course. It sees, senses and responds to furniture, toys and stairs carefully moving around items without missing a spot. 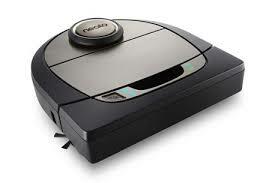 The bot is continuously scanning the room while cleaning so it is aware of any changes to assure that it is still cleaning on an efficient path. If your bot runs out of power, or is low it will automatically return to the charging base, power up and then go back to finishing the job. Don’t want the bot going into the kid’s playroom or scared of it eating wires by your office desk? You are now able to set virtual No-Go Lines around places you want your robot to avoid. I have sold a property at 19 3087 IMMEL ST in Abbotsford. 3 bedroom, 3 bathroom townhouse in very popular Clayburn Estates. Top to bottom very clean & well maintained w/mixed laminate & carpeting. MoVe right in! Kitchen has beautiful cabinetry, brand new s/s appliances, and "Very Bright". 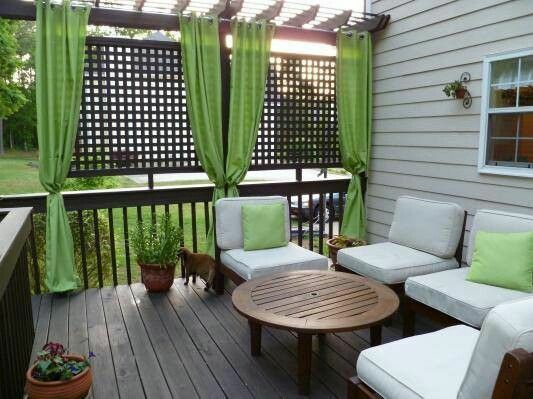 Dwnstrs recrm has been glass sliding doors opening out to very private & fenced, back yard. Open House May 12 & 13, 1-3 P.M.
With summer officially here and the temperatures rising many people expect their electricity bill to do the same during the summer months. With your air conditioner on high, making your home the arctic zone, you can almost guarantee that your air conditioner is responsible for almost half of your electric bill. Here are some easy ways to cut your electric bill in half this summer so you can stay cool and still have money left over. Hanging heavy drapes or black out blinds in front of your windows in the summer will not only keep the hot air and sun rays out, it also helps to keep the air conditioned cool air in. It’s a great way to stop the glaring sun from heating up every room in your home. If you’re really trying to crunch the numbers this summer, limit the use of your air conditioner. Now, that doesn’t necessarily mean keep turning it off and on, doing that will unfortunately cause your bill to rise even higher. Every time you turn off your AC, the temperature in your house will rise again, and when you turn the ac back on it will have to work twice as hard to cool your house down. Keep your ac set at a reasonable temperature like 71 degrees. The lower you go the more you are going to have to pay. Fans are an excellent way to help keep us cool. Remember, fans cool people by creating a wind chill, they don’t rooms. Well placed fans can help keep the air circulating throughout your home and help it keep cool, not like a sweltering sauna. Ceiling Fans are a great investment in the bedrooms to help keep the air moving while you sleep. One of the great things about night time in the summer is that it normally cools off. To save you some money, turn off your ac and open up your windows to let the cool air in while you sleep. When you wake up in the morning shut the windows and blinds to keep the cool air in. On extremely hot days, avoid using the oven. Use alternatives like the stove top, BBQ, or microwave oven. Try and keep your home cool as possible by not turning on the lights if possible. 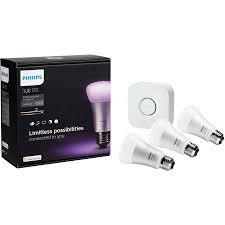 Purchase LED Energy star lighting products, they are much more efficient than the traditional incandescent bulbs. 90% of the energy from traditional bulbs is given off as heat which will result in a temperature increase in your home. Saving money on your electric bill can be fairly easy if you know where to start. The above are some simple, cost-effective ways to reduce your energy use during those hot summer months. 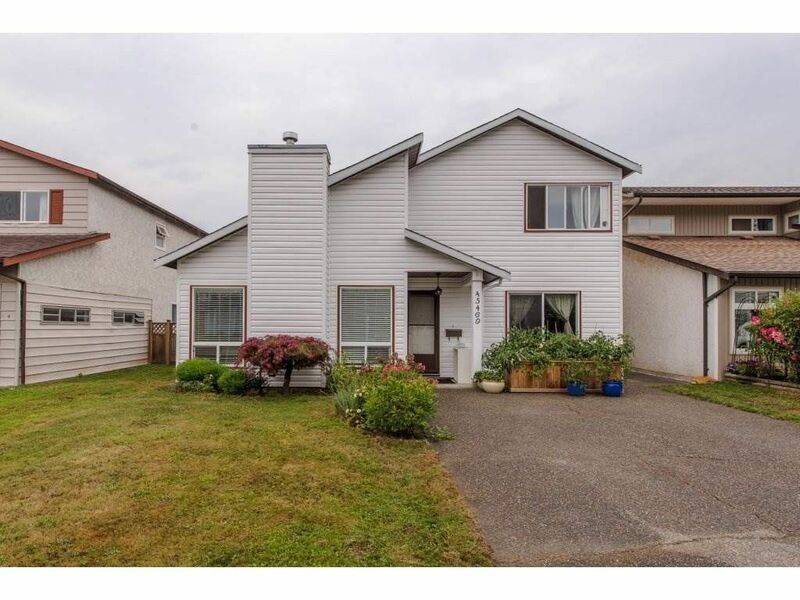 I have listed a new property at 19 3087 IMMEL ST in Abbotsford. 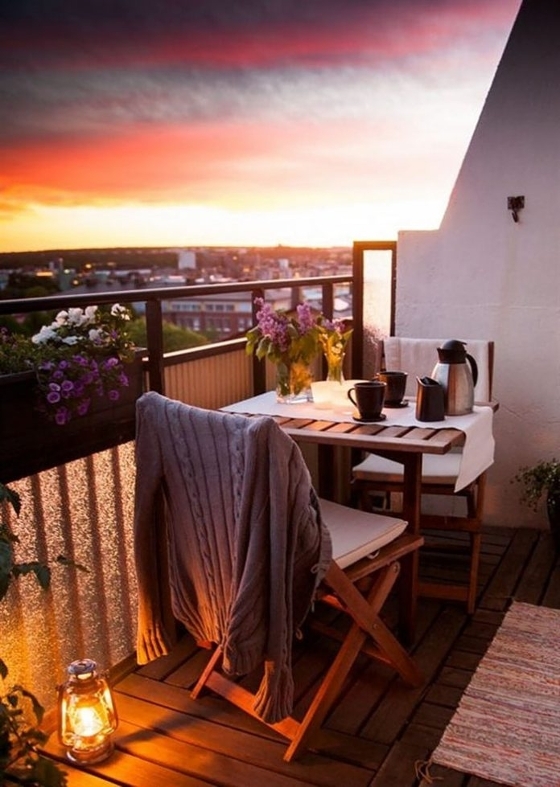 Your balcony is your summer extension to your family room. 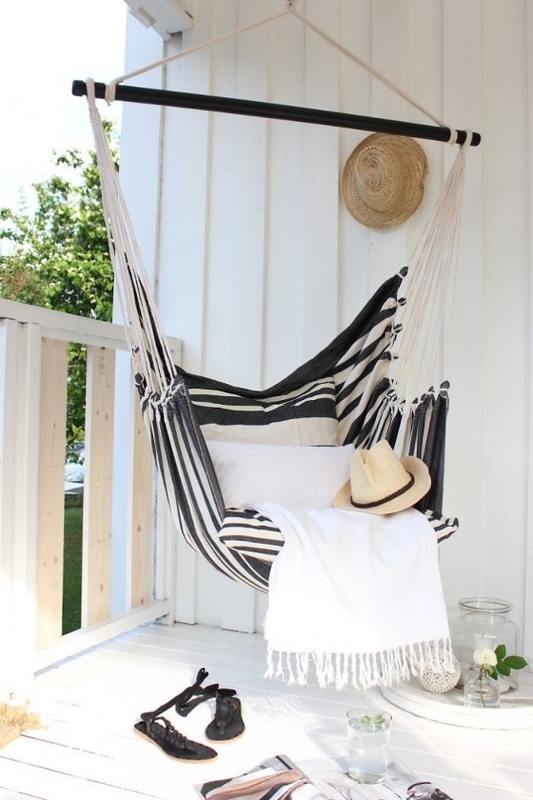 Have some fun dressing it up making it appealing to sit out there on those hot summer days to soak up that summer sun. 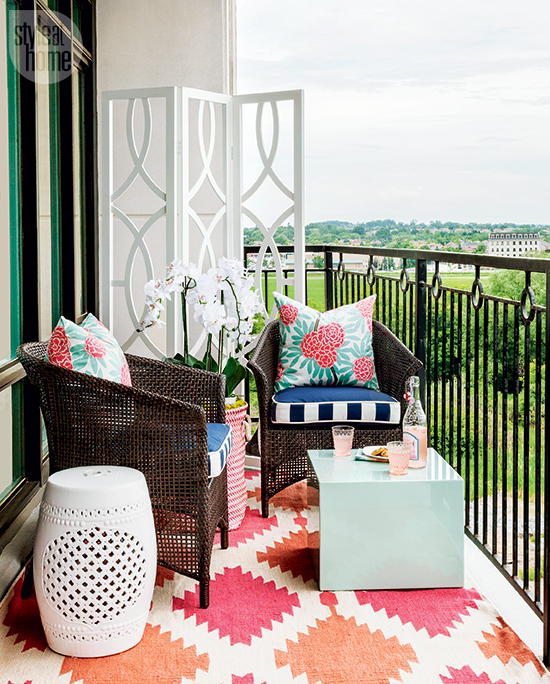 Small balconies give you the opportunity to jump out of your comfort zone and choose some bright colors and patterns to boost its visual appeal. 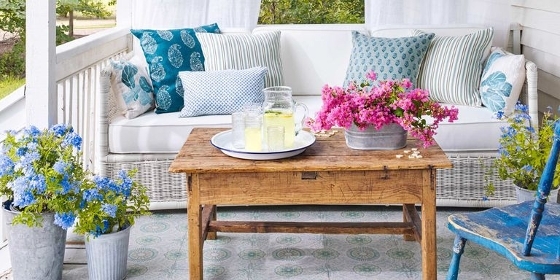 Here are few ways to brighten up your small balcony designs and turn small spaces into something wonderful and unique. 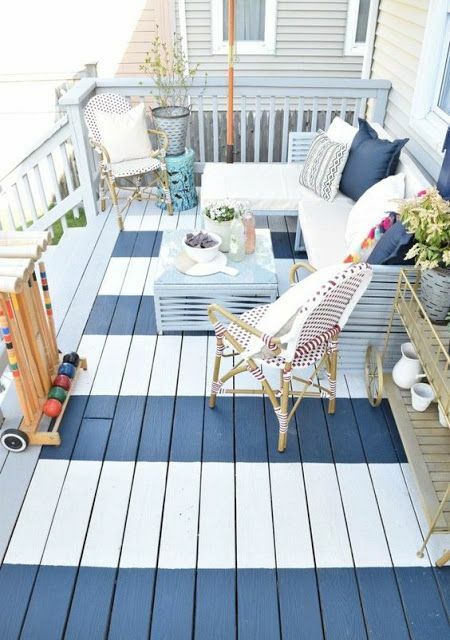 Disguise that drab ugly concrete flooring with a bright & colorful outdoor rug or some stylish inexpensive decking tiles. 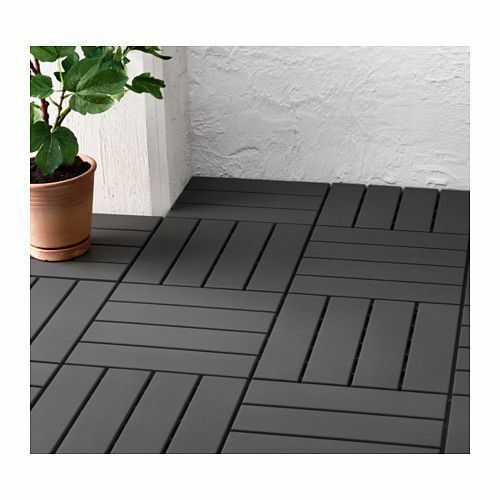 If you have a wooden patio floor consider painting it for that unique pop of color. 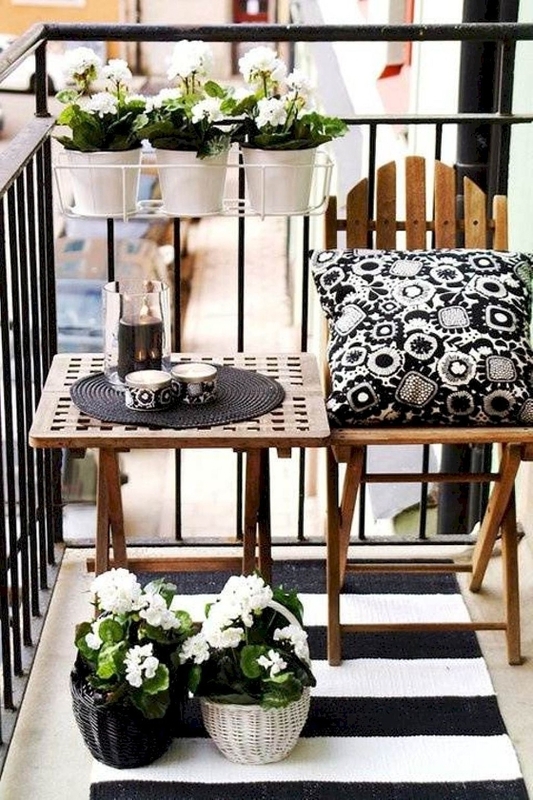 Add some lush greenery to bring life and to brighten up your balcony. 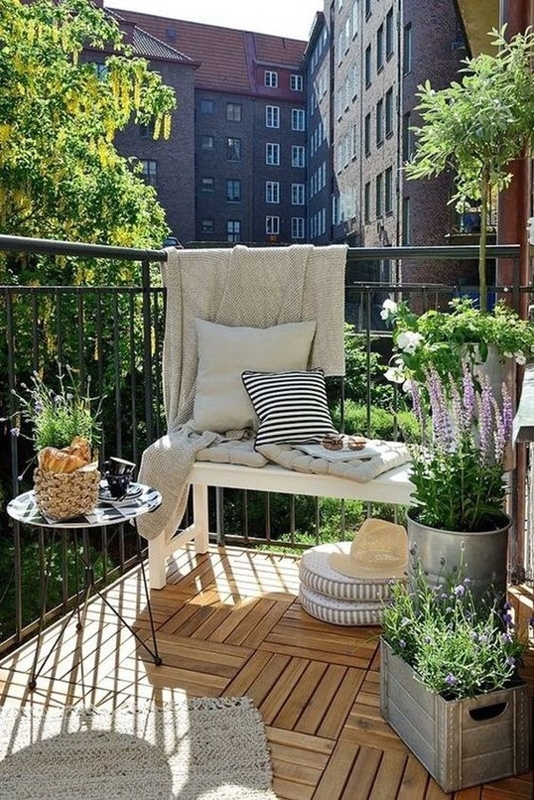 You can use the over the railing planters if you’re tight on space and plant some herbs or flowers that give off a nice scent like lavender. 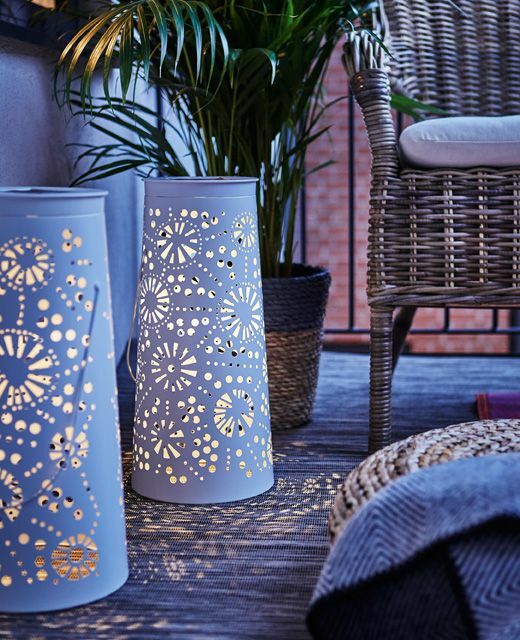 Ornate screens are a great way to add some privacy to your balcony while keeping it decorative and fun at the same time. They come in all different patterns and designs so the choice is yours! Create a nice cozy nook seating area or make your own corner lounge bed with lots of pillows. This will give you your own little space to go to relax and put your feet up. Your own little getaway. 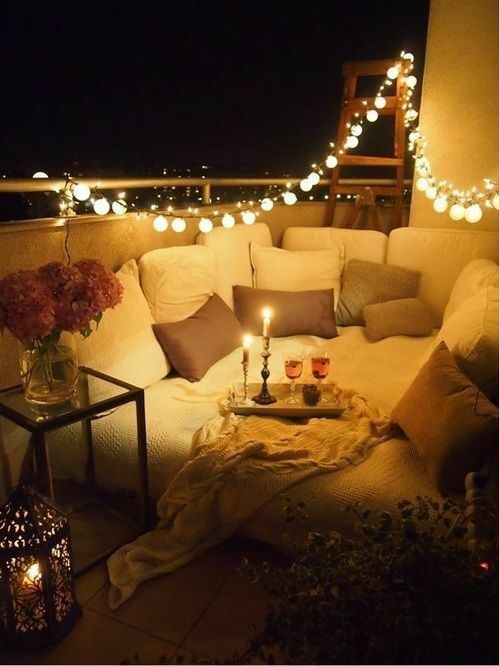 Adding a small bistro table and chairs will give you the opportunity to sit down and enjoy that morning coffee, or enjoy a romantic dinner with your loved one. Select lightweight folding furniture for more room. 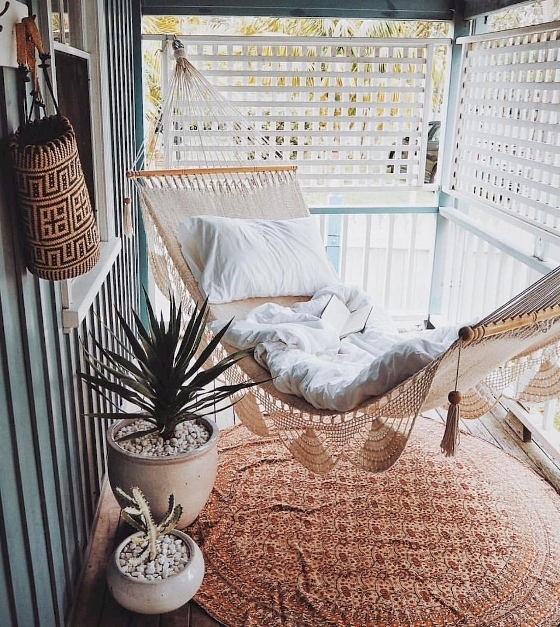 Hammocks can be a great piece of furniture to add, especially when you’re working with tight spaces as you can almost hang them anywhere. 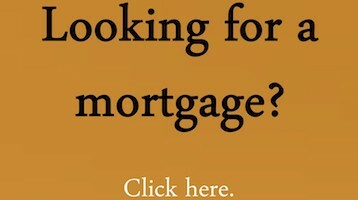 Preparing your home for sale can be at times very overwhelming and daunting. You want to make sure you’ve showcased the home’s best assets and that your home is in tip top shape to impress any potential buyers. Yes, staging is optional when it comes to selling; but in all fairness it really shouldn’t be. Your home is a significant financial transaction, you should want to help your home, in any way you can, to get top dollar for it. The easier it is for prospective buyers to envision themselves living in your home, the more likely they are to buy it. Follow these simple steps to help achieve the best possible staging for your home. It’s time to let go, you need to mentally detach yourself from your home. Start by removing any traces of family photos and personal collections. By creating a more neutral space you are making your home more universally appealing. The one thing buyers want out of a potential property is it to be roomy and clutter free. Remove all those little out of place knick knacks so your home feels light and roomy. You want prospective buyers to envision their furniture and décor to fit in your home. The less clutter you have the easier it is for them to do that. From fresh flowers, clean scents and fresh baked cookies. There’s nothing better than walking in the front door of a home to immediately smell something delightful. Add a fresh arrangement of flowers to the coffee table or kitchen island to give your home a fresh feel. Light and Bright is your go to motto! When you’re staging your home for sale you don’t want any dark or bold in your face colors especially in those small spaces like powder rooms. You want to keep it neutral to attract a vast variety of people. Keep the ceilings white to make your walls look elongated. When it comes to lighting in the home most people often forget about it when it comes to staging. 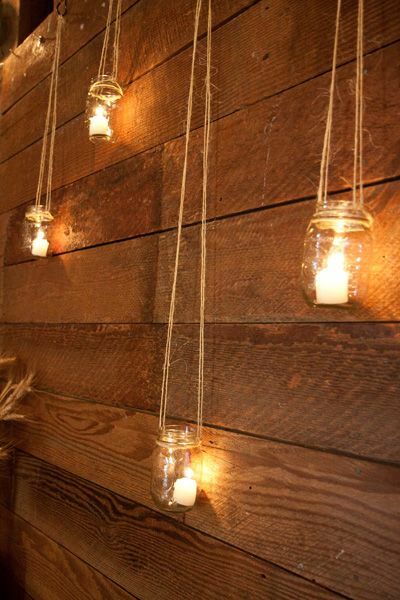 Add some ambient lighting in those dark hallways and basements. Some new pendant lights or table lamps with do the trick and help brighten up those dark corners, making the room feel as light as possible. Give your carpets the best maintenance possible and have them professionally cleaned before you move. This will hopefully remove any stains or marks that may defer prospective buyers. Carpet cleaning is an inexpensive quick fix to disguise the look of older flooring. It’s time to clean clean clean! Imagine that your mother or mother-in-law is coming to visit. Mop, dust, vacuum, and wash your walls, windows and baseboards. Do a deep clean of your home making certain that everything is sparkling clean. When staging your home for sale you want the master bedroom to be a retreat for prospective buyers that attracts to both male and female. White crisp clean linens, an uncluttered nightstand and matching lamps will give you that all around clean look. Even though your furry friends are a big part of your family, ensure that you have a pet sitter for days you have showings. Many people have allergies and/or fear of animals so do yourself and your pet a favor and relocate them during that time. Home staging can be easy and inexpensive, especially if you focus on the small details. Once you’ve got your home in order, stand back and let your house shine and it is sure to impress potential homebuyers. You only get one shot at a good first impression so let’s make it count! 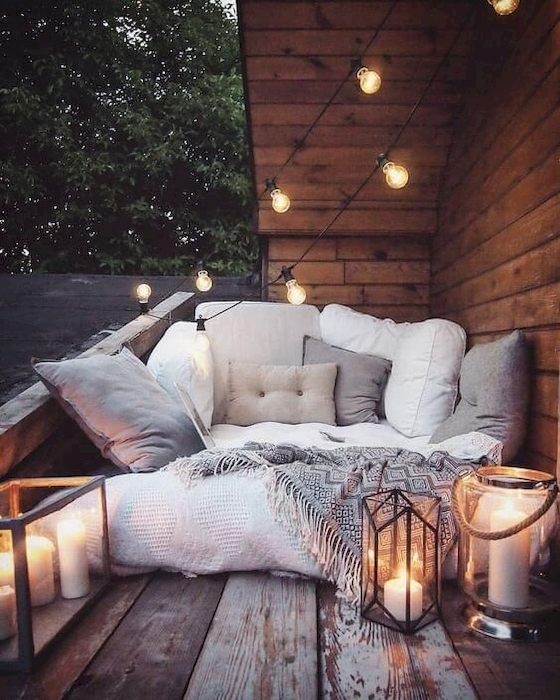 With spring finally here and the warm weather upon us (hopefully soon) it’s time to start thinking of the outside of our homes. When it comes to improving your home’s curb appeal, there are many small inexpensive changes that can make a strong impact on the first impression. Below are some affordable and helpful tips that will help you accomplish your curb appeal dreams. 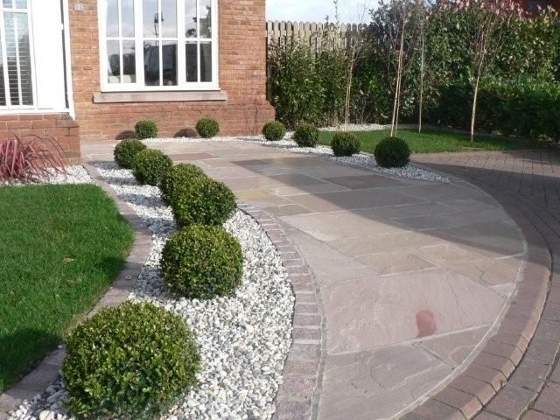 Driveways and walkways are often the one thing that gets forgotten about the most when it comes to landscaping. To jazz up your driveway and curb appeal start with removing any weeds or moss that may be growing from the cracks and joins. If you happen to come across some large cracks try and fill them the best you can. 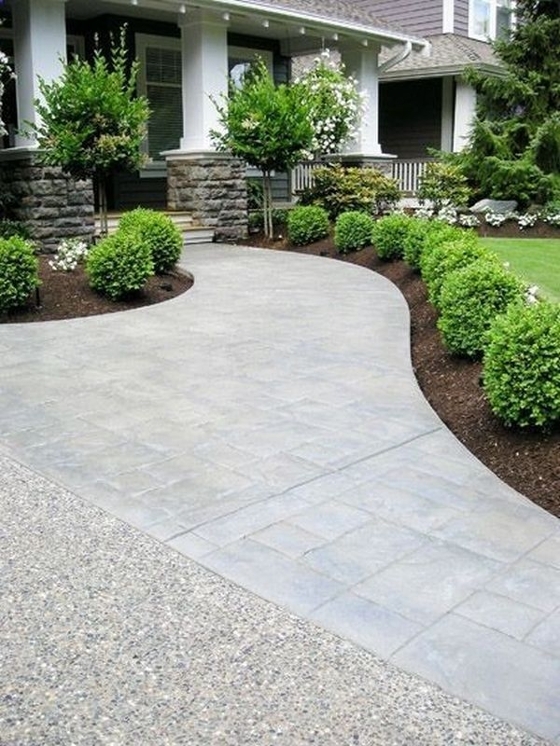 For more of an aesthetic feel; line the driveway with some small shrubs or greenery to give it more of a vibrant look and feel. Shape up your garden beds by giving them a good pruning and weeding. This will help remove any plants that didn’t quite make it or are starting to die off. 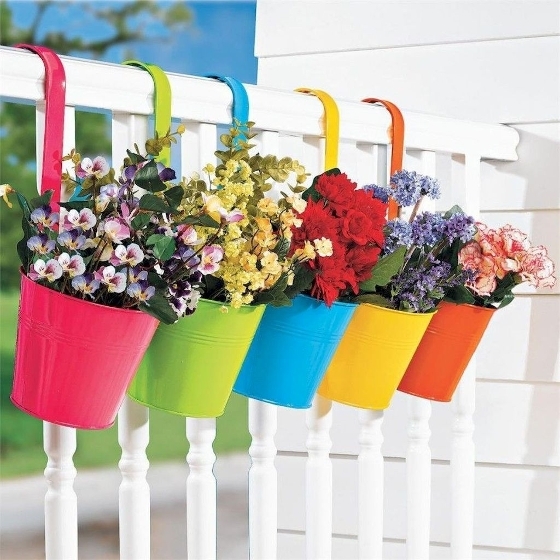 Consider adding some brightly colored new plants to give your planter bed that exciting pop of color. When adding new elements to your garden, choose plants that won’t obstruct the home, you want something simple yet elegant that will frame your house. You can also add some fresh top soil or mulch to freshen it up. 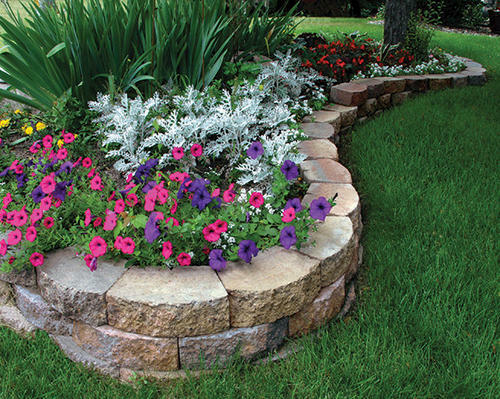 If you have a stone or brick border around your garden, replace any pieces that may be cracked or damaged. If you don’t have a border around your flower bed ensure that you give the grass a good edging to give it a sharp clean look. Prime spots for planter beds are in the front corners of your yard, along the driveway or walkway – think small shrubs, and right in front of your home. 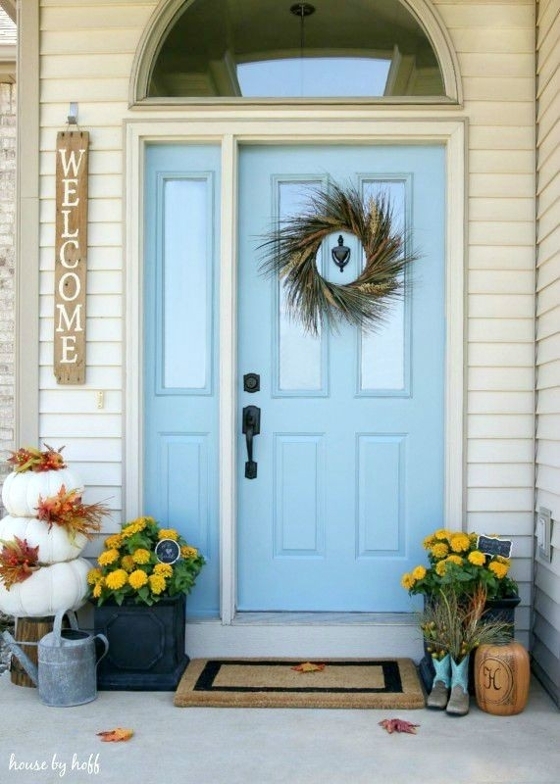 Your front door is the focal point to your home, you want it to be appealing yet welcoming. 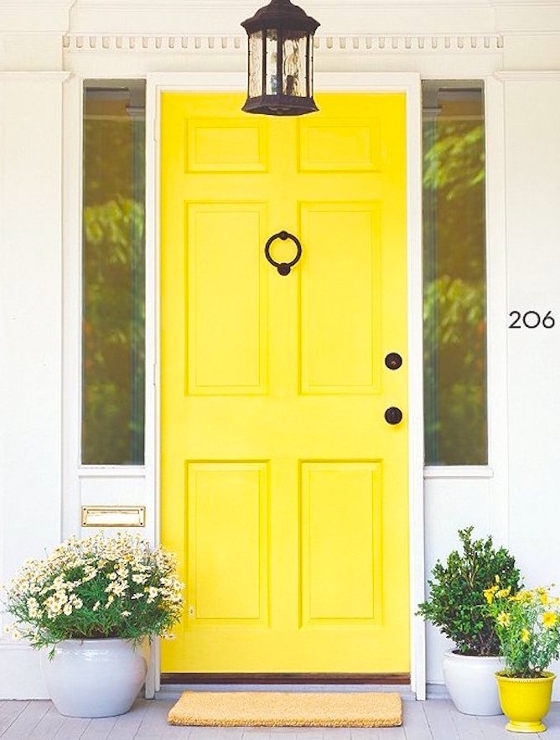 Make a statement with giving your front door a pop of color by painting it. There are so many different color options to choose from. 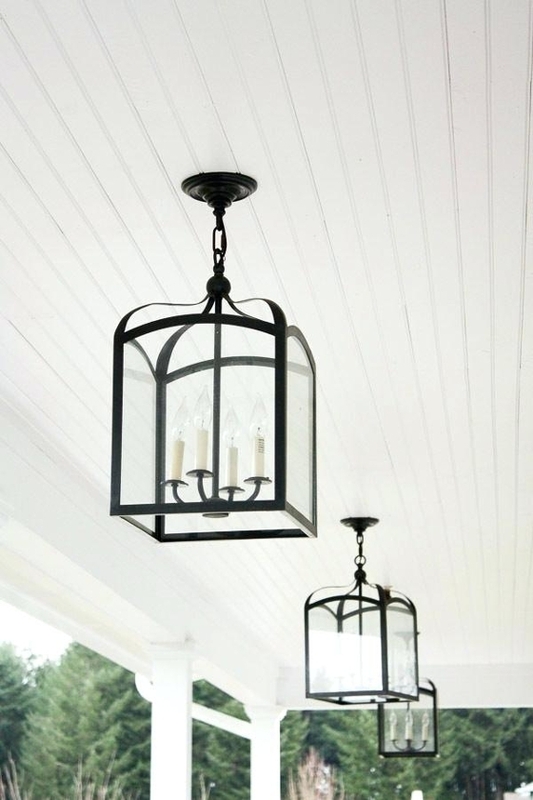 This will freshen up the look of your home and give potential buyers something to remember. 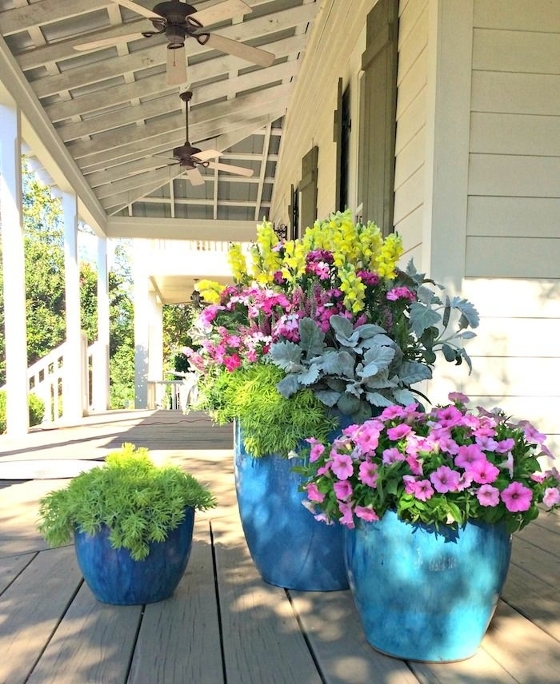 Make your front porch welcoming to your guests. 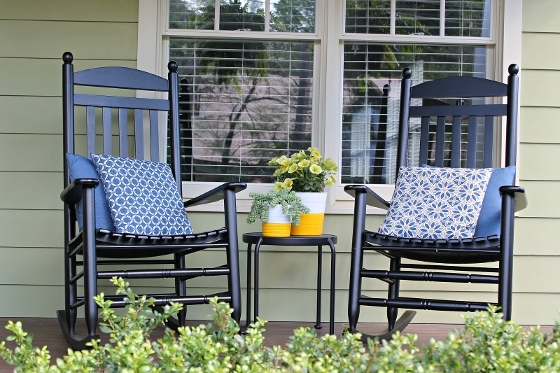 Add a few chairs with a few brightly colored accent pillows and a throw with a small bistro table to draw some excitement to your front porch. You can even go as far as having a few small potted succulents for some greenery or perhaps a pot of your favorite flowers. 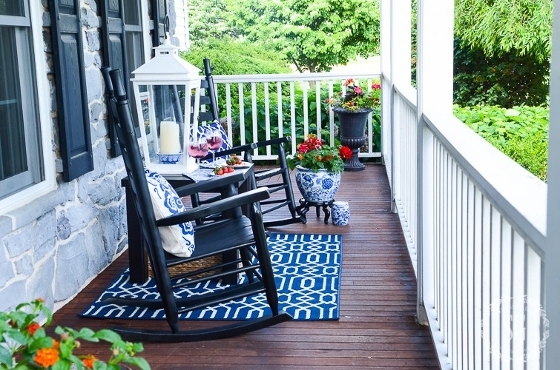 Adding some well-placed classic accessories can also give your front porch that added boost of curb appeal. Consider adding a seasonal wreath to your front door or even some large lantern candle holders to draw your eye in. 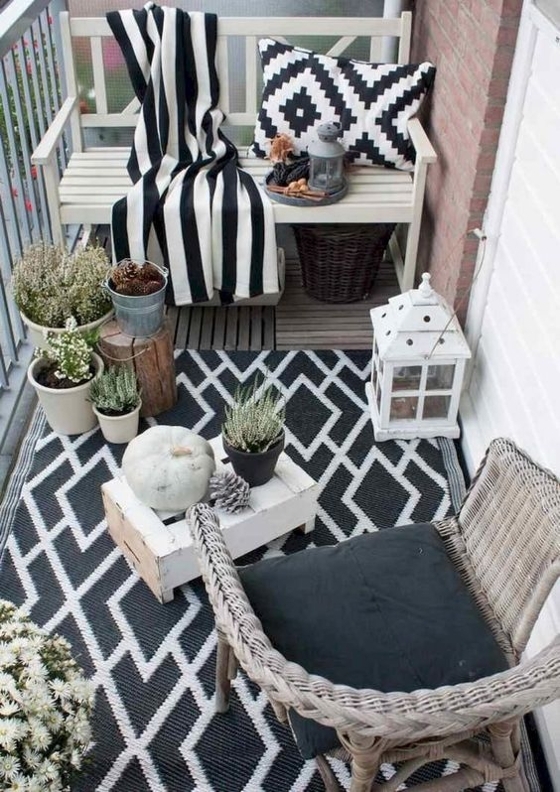 Remember to keep the size of your front porch in mind while decorating. You don’t want to go overboard and clutter it up with too many elements. Simple and bright personality is key. 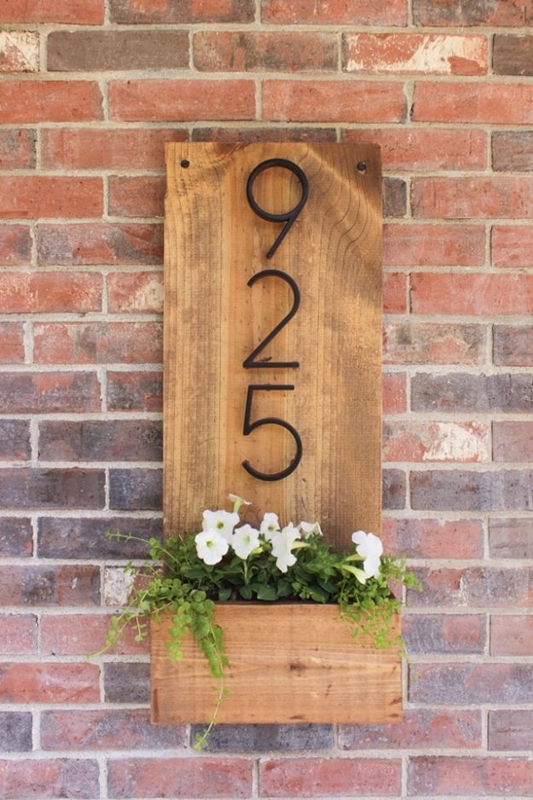 House numbers, door handles and overhead light fixture are quick and easy elements to update to add some personalized style and interest to your homes curb appeal. There are lots of simple DIY projects that you can find for creating an eye appealing look for your house. Try mounting the numbers on planks of wood to give it that modern look; or keep it more traditional by placing the numbers on a small plaque to make them stand out. New drop down lighting will also give your home that wow appeal. 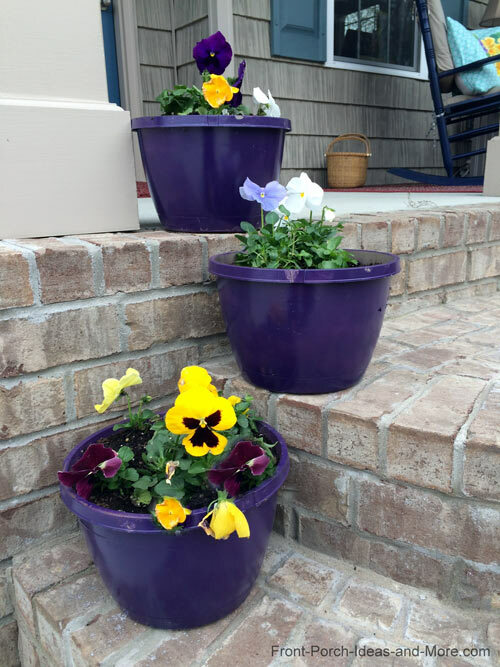 An easy solution to give you that pop color by your front door is painting those boring planter pots. Jump a little outside your comfort zone and try a bold color like blue or purple. Once you start adding your flowers into the pots it will brighten everything up giving it a new exciting look. 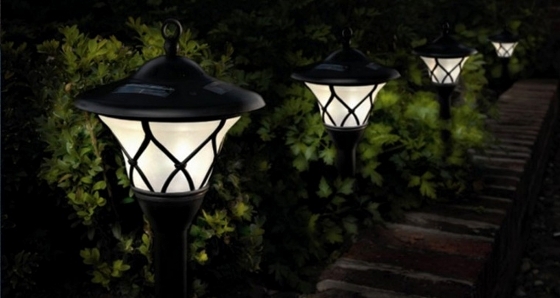 Solar powered lighting can make a huge impact on the curb appeal of your home while adding security. 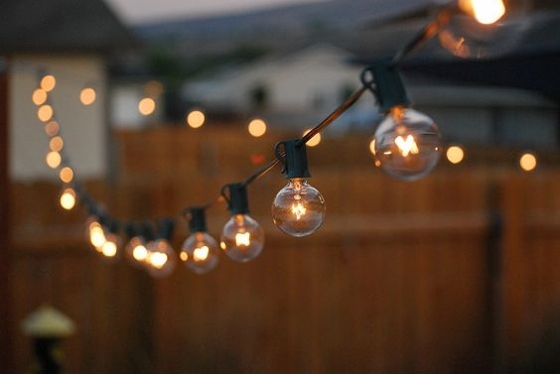 Lighting up your driveway or walk way to your home can give it that nice ambiance you may be looking for while still being functional. Solar lighting is extremely cost effective as it won’t rack up your hydro bill and the install is very user friendly – no cords! Designing the right curb appeal may take some time, but think of it this way. Spend a couple weekends out in the beautiful warm weather and make your home look fantastic while you bask in the sunshine. Having the right curb appeal for your home will give your potential buyers something to remember when viewing your home. I have sold a property at 32819 BAKERVIEW AVE in Mission. You won't know! You truly won't know till you get inside. So-o-o much has been done on the house - lots of upgrades. Not common for a house of this age to have 4 bedrooms plus 3 full bathrooms, such a huge master bedroom with great size walk-in closet & large ensuite bathroom, and gorgeous double garage. Great neighborhood. Quick possession is possible. *Open house Friday, Aug 11 - 5-7 p.m. I have sold a property at 51113 SOPHIE CRES in Chilliwack. Panoramic view of the Valley! Beautiful home in great subdivision. Master Bedroom and laundry on the main. High vaulted ceilings, huge windows, and open concept make this home 'bright' and inviting. Lots of off street parking - double garage + room for 5 more vehicles. Steps to Unity Christian school and minutes to downtown Chilliwack. I have sold a property at 1 45435 KNIGHT RD in Sardis. Best priced unit in complex! 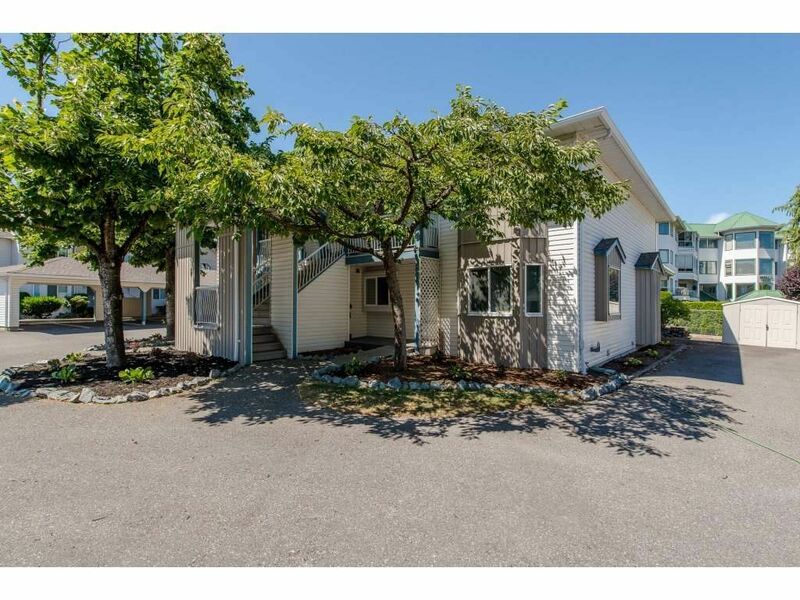 Ground floor unit with plenty of storage - shed off patio + 4' crawlspace. Freshly painted, new carpets in bedrooms. Stainless steel appliances in kitchen. Move in ready! Roofs and exteriors recently upgraded. Just steps to all the malls, medical, and shopping. *Special bonus= no size restrictions for dogs. Despite the chill that’s still lingering in the air, spring is finally here! Many of us associate the word spring with budding flowers and sunshine, but it also means that it’s time to break out those cleaning gloves and tackle the task of Spring Cleaning. Spring cleaning is no small task, it can often turn into a huge project. To make your spring cleaning tasks a little more manageable, here are a few tips that can help you tackle your home. Lists can often help people stay organized especially tackling a project like Spring Cleaning. Before you get started, walk through each room and write down what you want to accomplish. Writing a list out also helps to make sure you have all the cleaning materials you need before you start. Put together a cleaning playlist to make the task more fun! Listening to music while cleaning may help make things go by faster, keep you motivated and of course it’s an extra work out! It’s easy to get overwhelmed and side tracked when you want to accomplish cleaning your entire house! Baby steps… stick with cleaning one room at a time, or pick two or three rooms to accomplish on the weekend. This way your whole house isn’t thrown upside down all at once. Much easier to manage. It’s hard to stay on track when cleaning. You may find items you’ve forgotten about, lost, or old photographs, and before you know it you’ve spent the entire day cleaning just one closet because your too busy reminiscing the past. Set a timer so you don’t fall into this trap. Much like a list, it can help you stay on track. Don’t do all the cleaning yourself. What’s better than a cleaning party?! Recruit your kids, significant other or friends to help you out. When you can divvy up the work, it will hopefully take less time than if you do it all by yourself and its good company! Start cleaning from the top of the room and work your way down. Knock down all those dusty cobwebs from the corner, dust the light fixtures, clean the windows, dust the furniture, and finally finish with the floors. Many chemical-based cleaners emit hazardous fumes. No matter what cleaners you use, remember to always read the labels. Instead of using numerous rolls of paper towel for cleaning, check out a microfiber cloth. They can be used on multiple surfaces and pick up dust like no other! Even when it’s cold and cloudy outside, it’s a great idea to open up all the windows in the room you’re working in. It lets the fresh air circulate and immediately freshens up the house. If you’re sensitive to all the dust you’re stirring up while cleaning the fresh air will also help. Having something to look forward to at the end of a long day of cleaning sure makes things go faster. Plus, you worked hard and deserve it. Treat yourself to that bottle of wine you’ve been eyeing or take the opportunity to order in dinner; because let’s face it, who likes to make dinner and make a mess in your newly clean kitchen after a full day of spring cleaning. Alright, so these tips won’t make all the dirt magically disappear, but the tips above may help you make the task a little bit easier. Remember to take your time and have fun! You don’t have to do everything in one day, that’s why it’s called “Spring Cleaning” For a full Spring Cleaning checklist check out my website for an easy print version!